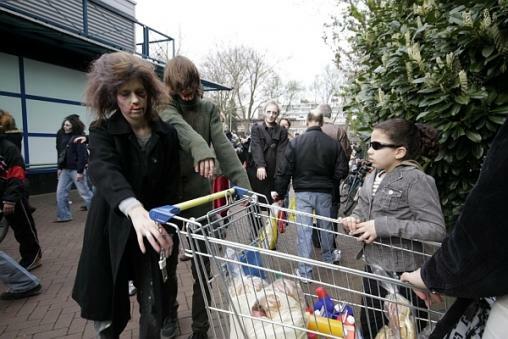 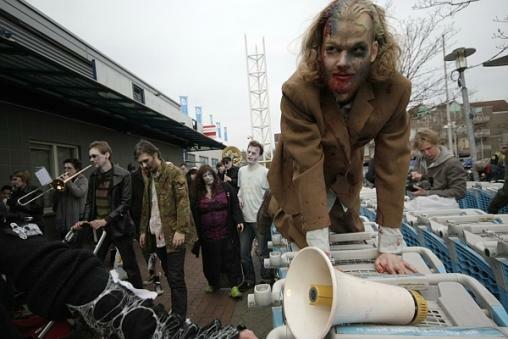 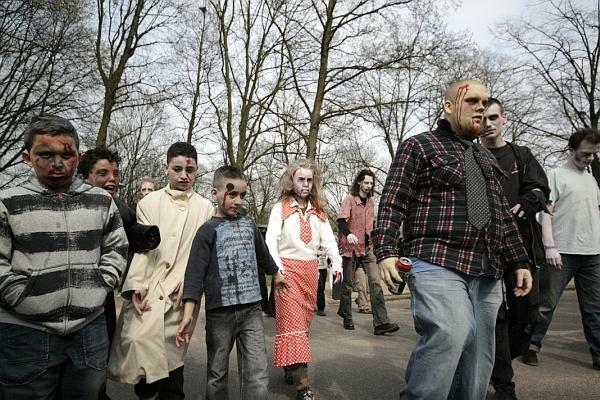 From January to April 2008 the artists worked in Overvecht, a suburb of Utrecht in the Netherlands, where they organised the Overvecht Zombiewalk, commissioned by the Art Council of Utrecht (In Overvecht), in collaboration with Casco projects. 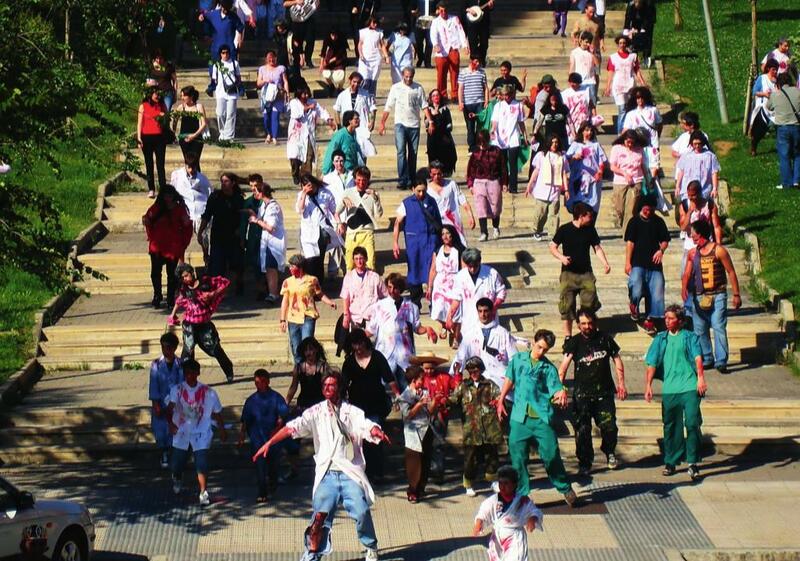 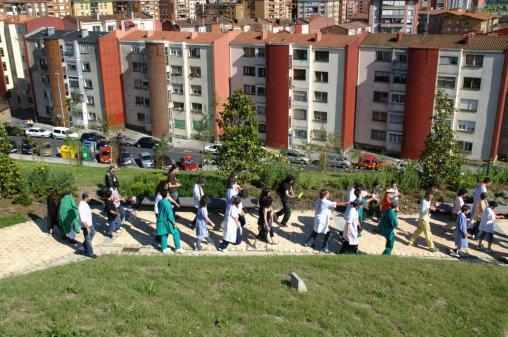 In Barakaldo, a sattelite town of the Greater Metropolitan Area of Bilbao in Basque Country, the artists worked together with consonni on the Marcha Zombi Barakaldo which took place on the 14th of June 2008. 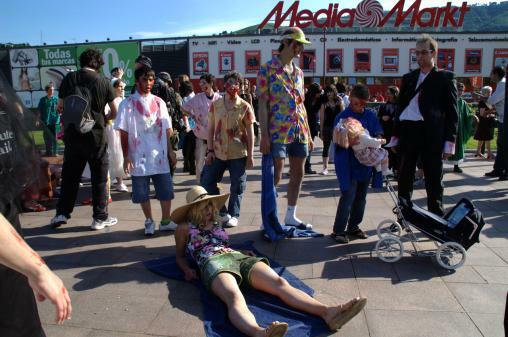 A few months earlier, they had organised a Zombie Seminar, with the philosopher Jaime Cuenca Amigo, the cinema critic Jordi Costa, the artist and cyberfeminist Laurence Rassel and the organisers of the Madrid Zombiewalk (Gorka Arranz and Sephiroth). These events have provided the content for the final publication: "Quédense dentro y cierren las ventanas // Stay inside. 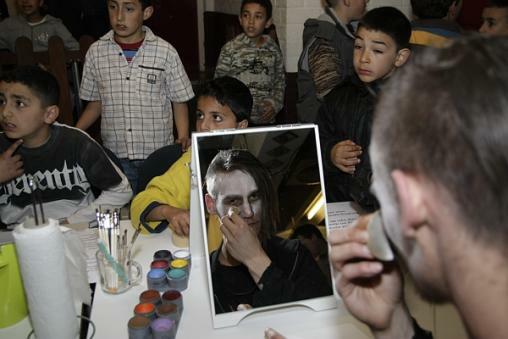 Close windows and doors", edited by the artists and published by consonni.